View your whole month at once. Tabbed one month per two-page spread with ruled blocks; past and future months reference. 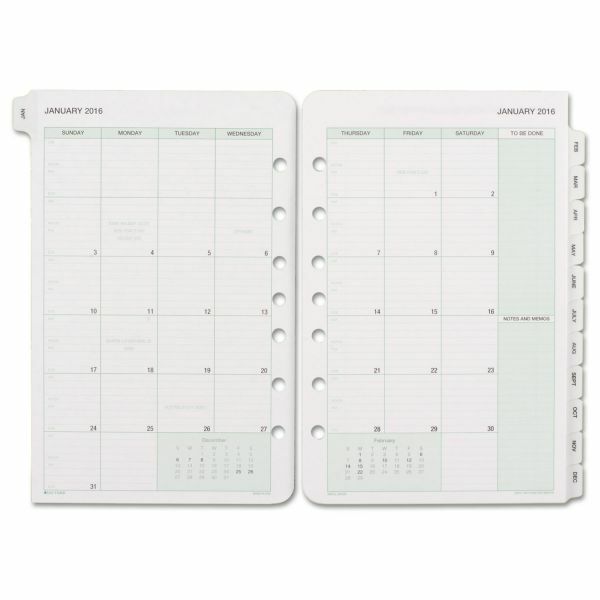 Includes spacious monthly to-do and diary sections. 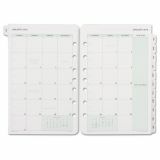 Day-Timer Monthly Classic Refill, 5 1/2 x 8 1/2, White/Green, 2019 - Calendar refill pages feature two-page-per-month spreads for a streamlined appointment schedule. Each spread contains daily lined blocks for each date and notes as well as references to last and next month. Each month is tabbed for easy reference. Doubles as tab divider.